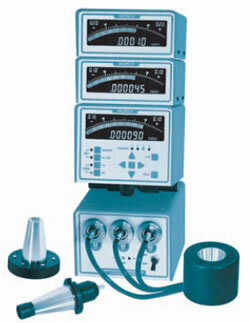 Connected to tapered air probes and air ring gages, Micro IIi readouts are a fast and accurate means of checking taper angles and related reference diameters. Taper designs may be specified by an included angle and an angularity tolerance; or the slope may be defined as “Basic” and a “form or contour” tolerance applied to the profile. In either case a datum controlling the size of the taper must be located at some point on the taper. 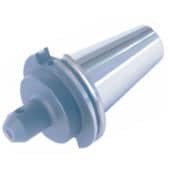 Referred to as a “Reference or Datum diameter”, this dimension relates the taper to some feature on the workpiece, such as an adjacent shoulder or a theoretical sharp corner at one end of the taper. Tapers specified with angularity tolerances require readouts the utilize “A-B” and “A-C” calculation functions to display angularity deviations. Tapers utilizing contour tolerances require direct coupled readouts that display the profile tolerance limits at each set of sensors. Micro IIi Readouts can be conifigured to check either angular deviations or contour toleranced tapers. See table of order codes for taper gages at right. 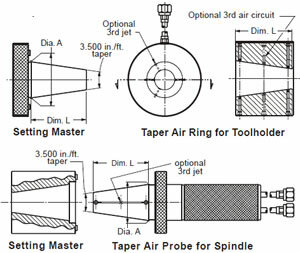 Taper gages that incorporate three air circuits allow the user to determine if hourglass or barrel shapes are super imposed on taper profiles. They are preferred on long tapers where this profiling error is most common; however space limitations often prohibit including the third circuits on short tapers. AEQ-42-22M Dual circuit with (A) & (A-B) displays. AEQ-42-32N Dual circuit with (A), (B) & (A-B) displays. AEQ-42-33M Triple circuit with (A), (A-B) & (A-C) displays. AEQ-42- 22 Dual circuit with (A) & (B) displays. AEQ-42- 33 Triple circuit, with (A), (B)& (C) displays. 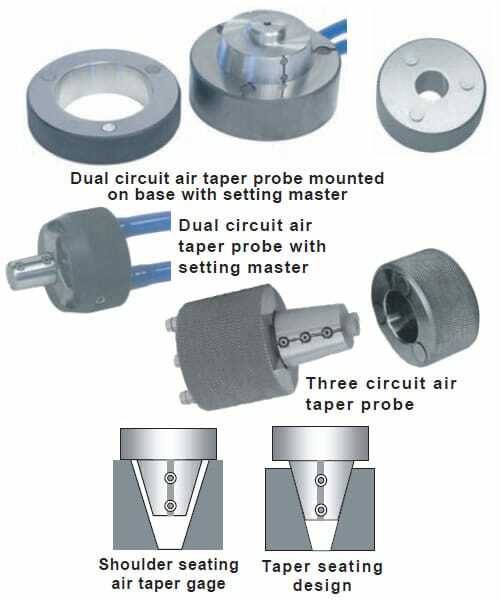 Taper gages can be designed to seat on the feature that the taper is referenced to, such as an adjacent shoulder, or they may be allowed to seat on the tapered surface itself — see illustration at right. 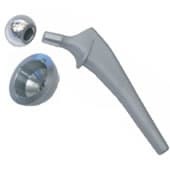 The shoulder seating design allows measurement of a reference datum diameter on the taper as well as angular deviation. This design is preferred where the tolerance on the reference datum diameter is closely held. For applications where a reference diameter is not closely held, a taper seating design is preferred in order to avoid excessive clearance. 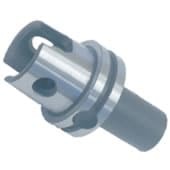 HSK machine tool tapers and most medical implant tapers are designed to shoulder seat, while nonflange seating American Steep Machine tool holders and many shaft end tapers are design to taper seat.